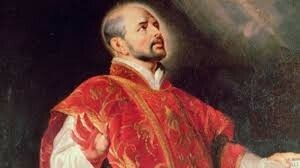 Saint Ignatius of Loyola (d. 1556) described his early life as high energy pursuit of the vanities of the world. Craving recognition and worldly honor, he was seriously injured in a battle while fighting as a soldier. During his long and painful recovery, he unexpectedly received and read two books – “Life of Christ” and a book on the saints. Mightily intrigued by these readings he set out to follow the example of the saints and abandoned his previous superficial fascinations. Many saints have been made by their first having read good books. Trustworthy reading likens a good friend. It is difficult to set it down since it draws us closer to God by setting our sights upon truly higher gifts. A good book elevates expectations for daily living.